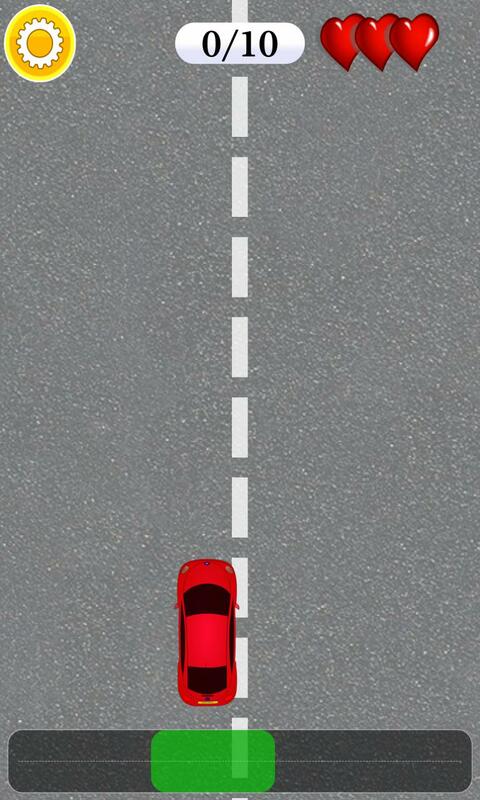 Enjoy a simple and entertaining racing game. 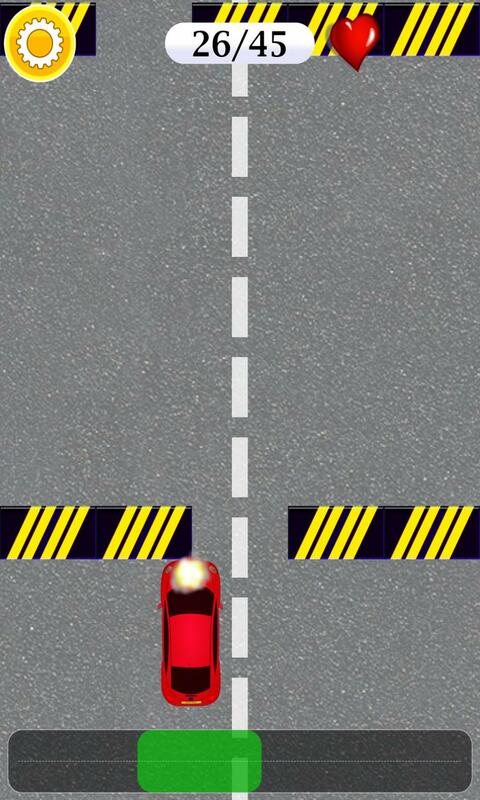 Race your car through rows of obstacles and be careful not to hit them. 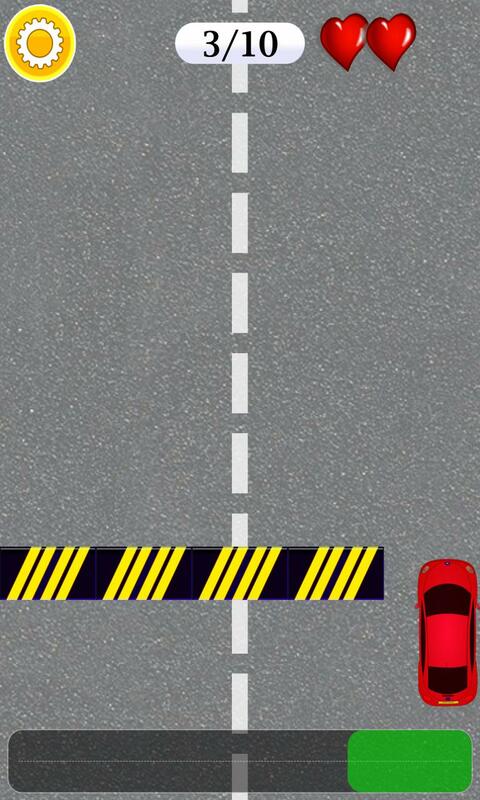 As you progress through levels your speed increases and obstacles come closer. ✓ You can move the car sideways by dragging the slider at the bottom of the screen. 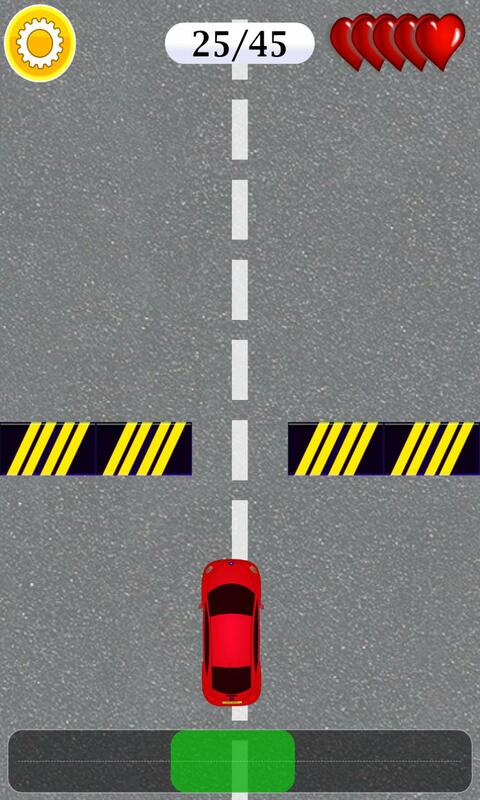 ✓ Once you move the slider the car starts racing. 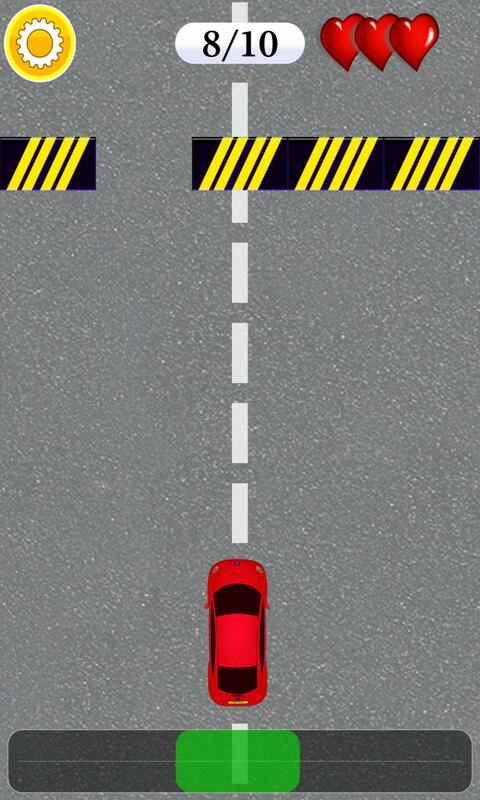 ✓ Pass through the space between obstacles without hitting the sides to win the game. ✓ At some point in the game you will receive extra lives in the form of hearts. ✓ Every time you hit the obstacles you'll lose one heart. 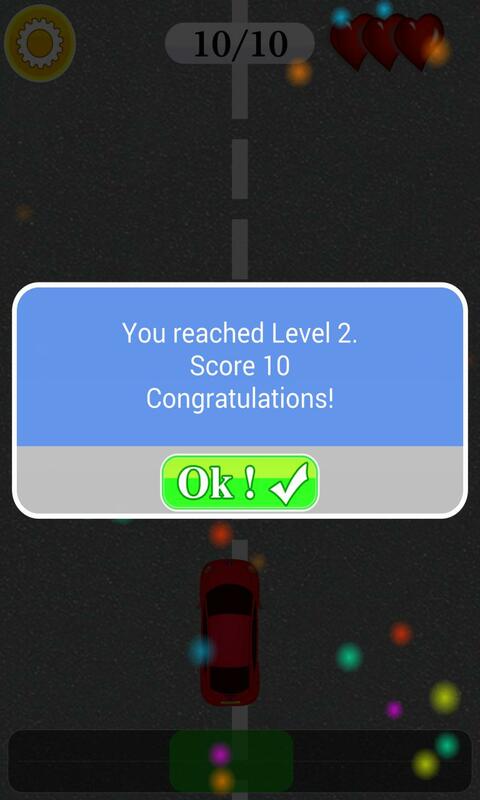 ✓ You will gain one point by passing through a row of obstacles. ✓ The first number in the info-bar represents the current score. ✓ The second number in the info-bar, after the slash, is the score you have to achieve to reach a new level.